The annual Sustainable House Day is fast approaching – it’s on Sunday September 9 this year. The Rowe family from Blackbutt will be opening their home for tours this year. I’ve known of Scott Rowe and his massive project for a while, but I hadn’t met him in person until earlier this year when he presented at an event during the Nature Conservation Council’s Illawarra Climate Challenge. Scott and his family set out to build a sustainable home, and have incorporated all sorts of “eco” ideas into their design. Their home harvests rainwater, processes waste water, generates electricity and hot water from the sun, maintains a comfortable temperature, and looks incredibly beautiful. And the most interesting part is that they’re doing all this right in suburbia, not out in the countryside. Free tours commence on the hour from 10am, with the last one starting at 3pm. Bookings are essential – contact Shellharbour Council to reserve your spot. Call 4221 6111 or email sustainability@shellharbour.nsw.gov.au. 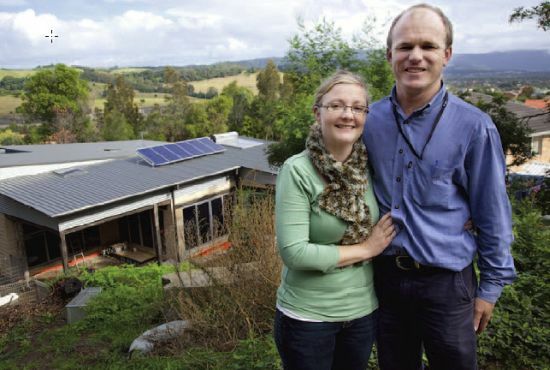 You can read more about what the Rowes have achieved at their web site, Eco Home Shellharbour.